After working for a couple of years in the recruitment industry for a well known company in India, I thought an international exposure through a well-rounded HR programme would add value to my career. I applied to the course at NUIG as this was a CIPD accredited programme and covered a variety of modules that I wanted to study. I would highly recommend this course to anyone who is as passionate and as interested about HR as I am. This course allowed us explore issues impacting the development, implement and evaluation of global business and innovation strategy. I accumulated research, analytical and argumentation skills necessary to formulate, conduct as well as report independent pieces of research. Lecturers on this course were always patient and supportive. This position is something that I would have hoped for two or three years down the road. The Programme prepared me for this challenging role and allowed me to develop myself as a person as well as advancing my knowledge. Without completing this Masters I would not be in the fantastic role that I am, and I highly recommend anyone who wants to get into the Sales and Marketing to pursue the course. The MSc in Marketing allowed me the opportunity to reach my full potential, helping me build the skills and knowledge necessary to become part of one of the largest software companies in the world. The masters gave me a distinct advantage over other candidates as a result of the scope of topics and projects we covered. I would recommend it to anyone who is passionate about marketing and would like to build a successful career in this field. I feel extremely privileged to have been afforded the opportunity to study the Marketing Practice programme at NUI Galway. What I loved about the programme was the opportunities within it, such as the work placement, the opportunity to work in a new environment and to expand your business profile". I loved every minute of my work placement and gained so many new skills on a daily basis. The teaching and leadership at every stage of the course was exceptional. I am absolutely LOVING my work placement as the experience that I’m gaining is incredible. It will be a massive selling point for me in any interview after my placement, as it is allowing me to apply my learnings in a real work environment. I have a huge amount of responsibility and have designed and implemented a number of different campaigns for new product launches and co-promotions e.g. The Irish Pride Bunsters & Calor BBQ Summer Promotion. I also enjoyed the workshops organised in Galway. They are always extremely interesting and beneficial to both myself and the company. One of my favourite aspects of the programme was the assignments we undertook. These are all designed to further enable us to add value to our organisations. The MSc Marketing programme in NUI Galway contained all of the necessary elements to develop myself as a marketing professional. My favourite part of the programme was the placement. Throughout the year, I created and managed several projects for my host company. This experience allowed me to put theory into practice and coupled with lecturer feedback, provided the richest and most rewarding learning opportunities of the course. I would recommend it to anyone who really wants to drive their career in the right direction. I chose the MSc in Marketing Practice to fulfill my ambition of becoming an accomplished marketing professional. This course promised practical learning far superior to that of a classroom and it has absolutely delivered. I have developed relevant and differentiating marketing skills and acquired experiences which I am confident will serve me throughout my career. Having a language opens up many incredible employment opportunities, particularly in the areas of Sales & Marketing as many companies look to move into new markets. In this respect, I believe that this programme is ideal for international students, as it will allow them to capitalise on such opportunities and secure fantastic sales & marketing positions. This master really helped me get to where I am today! I was absolutely thrilled when I was accepted onto the MS.c Marketing Practice programme. I can honestly say it has been one of the most rewarding and challenging years of my life. This masters is exactly what I wanted when finishing my undergrad – hands on experience, challenging and to learn as much as possible. I really enjoyed doing each assignment because you learn so much which each one. There is also a fantastic support system in NUIG. One of my highlights of the year was that I got the opportunity to interview many marketing professionals during my research and project manage events of over 100 people. Your assignments come to life in this masters, and there is no better feeling watching your work being implemented in the work place!! I feel this course has given me the best start on my marketing career and I am so thankful I was accepted! I chose the MSc in Marketing Practice as I wanted to physically apply the learnings from my Bachelor of Commerce (Global) Degree to my working career and the course provided the perfect platform to do just that! I got the exciting opportunity to work within a tech start up environment where I helped to bring the Marketing and Sales knowledge I had learned to the forefront of the business, helping it to turn what was only a concept at the start of my placement into a viable product and business today. The level of satisfaction in being able to achieve such a feat is incredibly rewarding and has provided me with skills that can be applied within any company I work for in the future. The Masters in Marketing Practice provided me with the perfect stage to showcase what I could bring to the table for a company and the students within the course allowed for an incredibly collaborative environment that helped one another succeed and learn from each other to further develop our marketing skills. The MSc (Marketing Practice) provides a mix of practical learning and theory. I was placed with one of my favourite health food brands and am lucky to say that I am currently working in my dream job! I have developed skills such as content marketing, social media, event organisation, market research and email marketing and the experience and skills gained will definitely stand to me for the future. For anyone considering this Masters, I couldn't recommend it enough as the mix of lectures, workshops and work placement is an excellent foundation to set your career on the right path! The Marketing masters degree I recently completed not only provided me with a wealth of knowledge but also the ability to apply, with confidence, the knowledge gained in any given industry. I have found the learning environment to be excellent with help and support for students in a variety of areas. The staff lectures, library, etc., are helpful and informative. 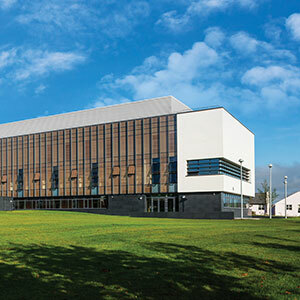 The campus at NUI Galway is a student-friendly environment with excellent facilities, which are continually improving. I would certainly recommend a postgraduate course in Health Economics as it has many practical applications and prepares students for further research or entering the pharmaceutical industry. Many students are placed in pharmaceutical companies over the summer. Previously some students were kept on in companies where they did their placement, while others have gone on to do PhDs in Ireland and the UK. 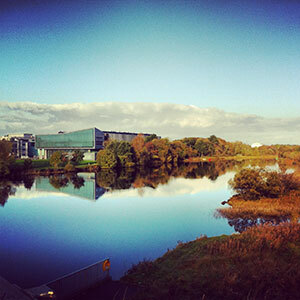 I would definitely choose NUI Galway if I was starting over again. We had an amazing year with speakers from abroad and we also had fun! The MSc. in Health Economics is a fantastic qualification to have and it provides the necessary skills in becoming a Health Economist. Students receive theoretical and practical experience in areas such as, Health Systems & Policy Analysis to developing cost effectiveness models that are used in health technology assessments (HTAs). The course provides students with great opportunities to attend conferences and seminars, which are a fantastic opportunity to network and learn from experts in the field. 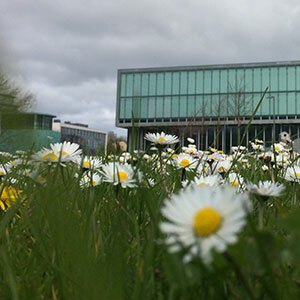 The Health Economics and Policy Analysis Centre (HEPAC) at NUIG is the largest single group of academics working within the area of Health Economics on the island of Ireland, creating the perfect environment for students to learn. The MSc. has allowed me to work for one of the biggest medical device companies, a management consultancy firm and to my current role as a Research Assistant in HEPAC pursuing a PhD. I came to the National University of Ireland Galway for an MSc Natural Resource Economics and Policy under the Irish Aid Fellowship Programme. The choice of Environmental Economics came easy as I had always wanted to make a contribution to my country; solving climate and environmental challenges. I found the environment at NUIG conducive for excellence. The university has a state of the art library which made research and personal reading enjoyable. The professors were highly qualified with a wealth of practical experience and research. They were readily available for consultation and encouraged participation and free thinking making the course exciting. In addition, the diversity of students enriched the learning experience. The course was very practical and included a field trip aboard the RV Celtic Voyager aimed at enhancing knowledge and appreciation of marine science that is also incorporated into marine policy formulation. The MSc in Natural Resource Economics and Policy at NUIG is an excellent choice for students with an interest in environmental economics and I highly recommend it for international students. I found the MEconSc in Natural Resource Economics and Policy to be a thorough, well organised course which covered a range of issues such as resource sustainability, renewable energy and marine resource economics. The courses were interesting and topical and also provided students with lectures from various industry experts and research field leaders throughout the year. The work placement was a fantastic experience, allowing me to work with the Sustainable Energy Authority of Ireland. This, as well as the course work and research conducted through my dissertation enabled me to pursue a PhD in environmental economics. In 2015, the US-Ireland Alliance offered me a George J. Mitchell Scholarship to study for a year in Ireland. 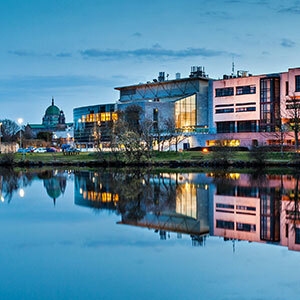 As a student of economics, I chose NUIG for my studies specifically because of its M.Sc. in Natural Resource Economics and Policy. 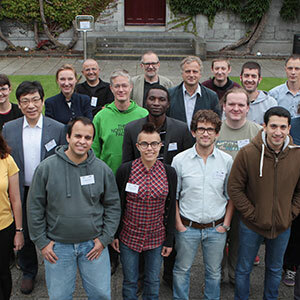 NUIG’s program stood out among other postgraduate economics programs because of its particular focus on environmental and natural resource economics. The course is remarkably strong in its quantitative training. In the fall, students complete rigorous modules in econometrics and statistics, learning skills which they are then required to put into practice in the spring. I found it easy to develop strong working relationships with my lecturers, one of whom arranged a summer placement for me at the Economic and Social Research Institute (ESRI) in Dublin. At ESRI, I am working on a project with one of Ireland’s top environmental economists to value two salmon fisheries on the West Coast. My dissertation, which is based on the project, will be presented to a government client and published in an academic journal. I truly enjoyed my year in the Natural Resource Economics Programme at NUI Galway. I had the opportunity to work closely with instructors from the University and external research centres, gain student teaching experience and work in paid research placements. After completing this programme I was offered a position with a Galway consulting firm, but ultimately chose to begin a PhD fellowship in Galway. Other students in our class have gone on to positions in the Department of Foreign Affairs and the Department of Public expenditure and Reform. I strongly recommend Galway to prospective students. 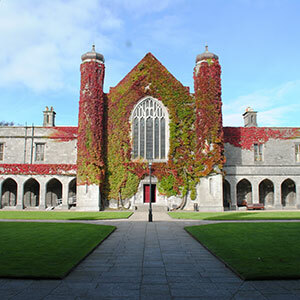 NUI Galway is a particularly welcoming and valuable experience for international students like myself. The programme has students from different cultures, backgrounds and countries. It provides you the essential hands on required for the competitive corporate world. IT firms like Accenture, HP, Deloitte, Avaya and many, provide job-related seminars and Challenges to interact directly with student who are in this programme. I’ve been working as a Business Analyst with SQS since just after my summer exams, and the MSc in ISM has proved to be a great asset. Business Analysis requires a combination of good business acumen and technical knowledge. With that in mind, I feel this course is the perfect place to start for someone considering a career in this line of work. Modules such as Applied Systems Analysis and Systems Development and Project Management provided me with exposure to tools and techniques that are frequently used by Business Analysts such as Use Case modelling, process mapping techniques and approaches to stakeholder management. It only took a few weeks in my new position to realise just how useful the MSc in ISM would continue to be long after exams had finished! The MSc. Business Analytics gave me a great introduction into the areas of analytics and big data. It was an invaluable learning experience, the course was consistently engaging and the mixture of different subjects was particularly advantageous. The different modules provided me with the necessary tools and techniques that have allowed me to find employment in SAP, working as a Cloud Product Support Engineer. I have been working with CMS Peripherals since immediately after the exams. My role as a Technical Engineer involves me gaining accreditations from the world’s leading IT companies like Microsoft, Symantec, Commvault and Vmware, implementing Professional Services and installs of backup solutions for companies in the UK and Ireland. It also involves a lot of travel in Ireland, the UK and Europe. The modules of the MSc in ISM have helped me enormously. 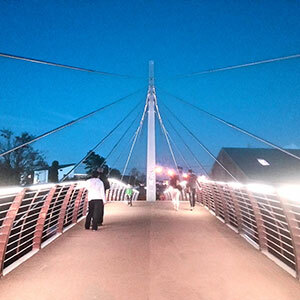 It is a great course that gives non-technical students a feel of a technical environment. This course has strengthened many of my skills and expertise; from innovative thinking, to critiquing and analysing, as well as developing my soft skills which are extremely useful to have in the workplace. This course has strengthened many of my skills and expertise; from innovative thinking, to critiquing and analysing, as well as developing my soft skills which are extremely useful to have in the workplace. I would recommend this course to anyone looking to further enhance their business and system analysis skills, and wishing to gain some practical experience in system development. I would recommend this course to anyone looking to further enhance their business and system analysis skills, and wishing to gain some practical experience in system development. The M.Sc in Business Analytics enabled me to gain a broad insight into the diverse areas within business analytics and to develop technical skills such as data mining and predictive analysis, which has enabled me to thrive in the analytics industry.